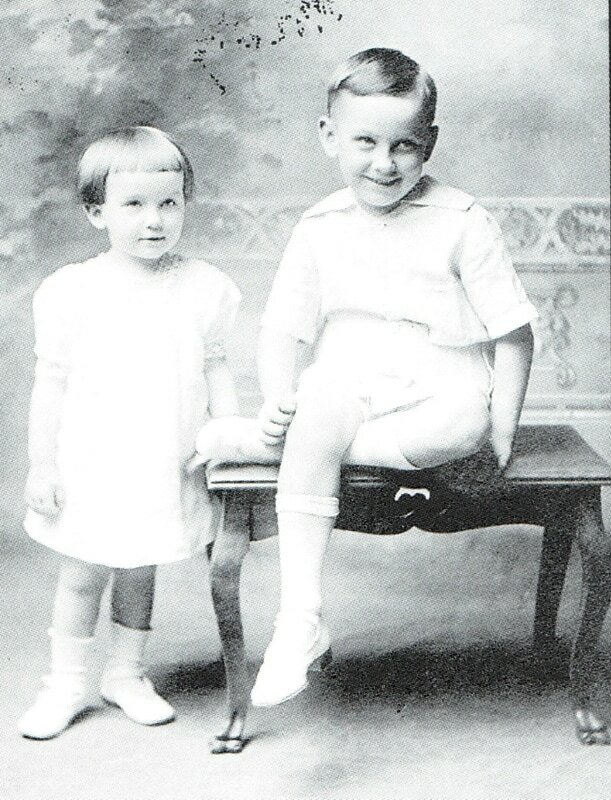 Fran age 2 and her brother Charles age 5. A Story City Native, Dr. Frances Bartlett Kinne, is a talented pianist who studied Music at Drake University. After teaching music at a number of central Iowa schools, Fran became a U.S. Army Entertainer during World War II. Following the war while serving as the recreational director at a V.A. hospital in Leavenworth, KS; she met her first husband Lt. Colonel Harry Kinne. While living in China in 1948, the Kinnes were evacuated from the country’s interior as the communist revolution occurred. During the Korean War, Harry was on General MacAuthur’s staff and Fran served as Director of Music and Assistant Entertainment Director for the Far East Command for the U.S. Army’s Special Services. In 1955, Fran’s husband accepted a command assignment in Germany and Fran began completing her PhD at the University of Frankfurt. It was here that she studied under professors such as the well known Dr. Max Horkheimer. Upon returning to the United States, Fran’s husband accepted a position with the Florida National Guard. The move to Florida was fateful as Fran became involved with Jacksonville University as a professor. It was here that Fran would become the first woman in the United States to serve as dean of a fine arts college. 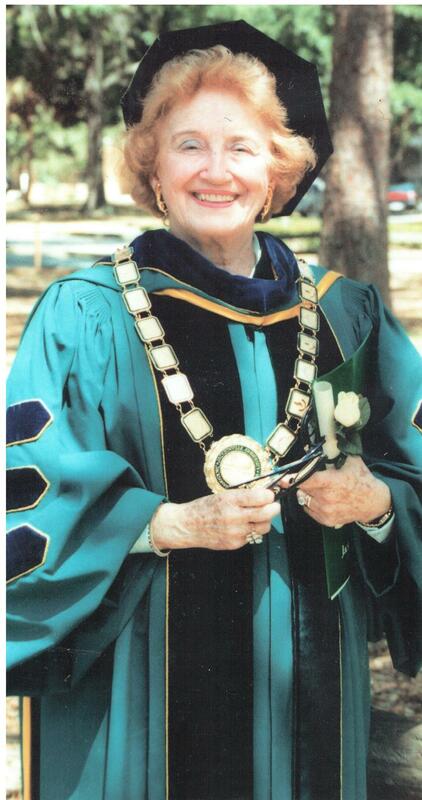 A short time later she would be the first woman to serve as president of a Florida university. ​Today, Fran is an ardent supporter of the Story City community; citing her Midwest small town upbringing for contributing to the strong work ethic that has followed her throughout life. Fran in her Chancellor's robe. Ribbon cutting at the dedication for the Bartlett House Museum. 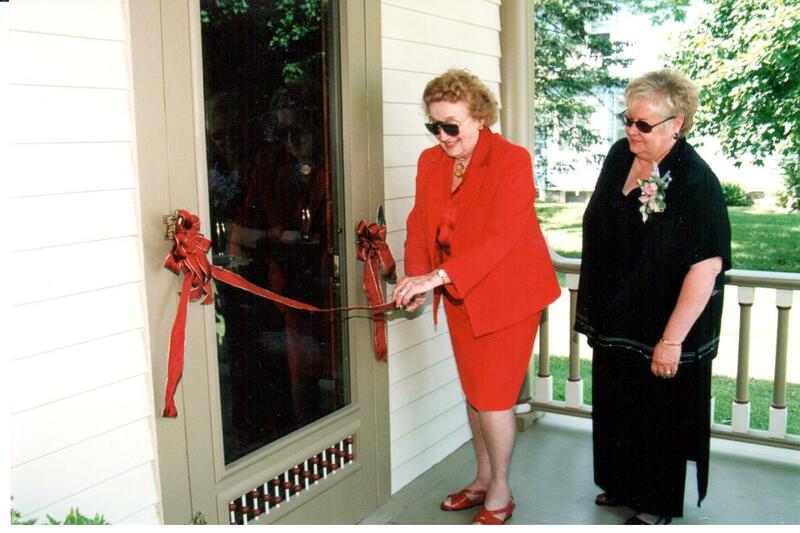 Pictured are Fran and former Historical Society Board President Cheryl Eddy.